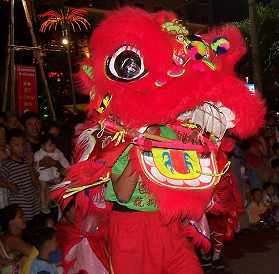 Tet is the festival of the Lunar new year, and is the most important holiday in Vietnam. The whole family gets together at home to welcome the ancestral spirits home. 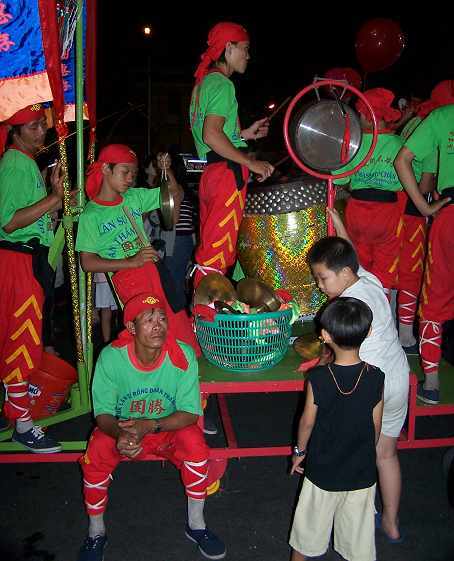 Because it is based on the lunar calendar, the dates of tet vary from year to year. Above, left and below are various photographs taken of the unicorn dance. The unicorn is the symbol of wealth, peace and prosperity. 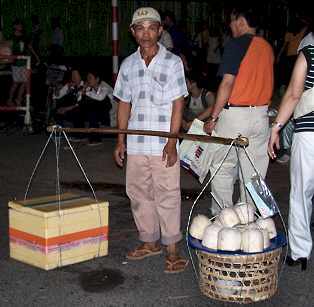 Above is a coconut seller. They are found anywhere there is a gathering of people. The coconuts are chilled and very thirst quenching. 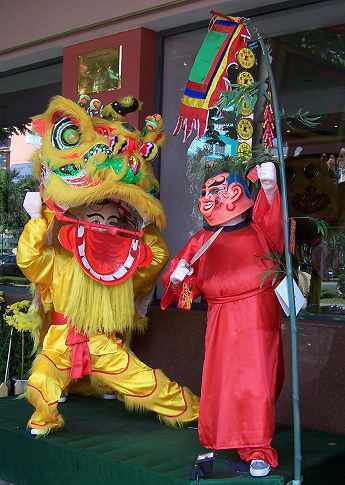 On the left is the unicorn and Ong Dia. 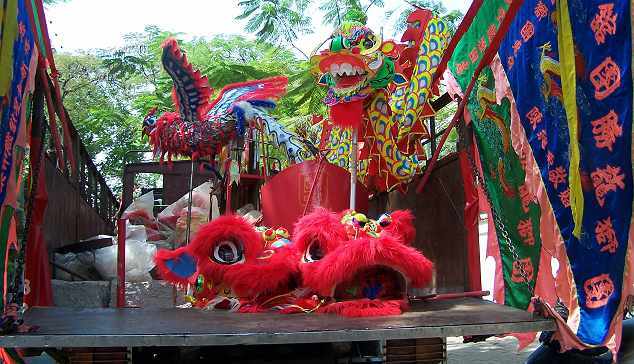 Below is the truck carrying the equipment for the unicorn dance and the dragon dance. Every house and business will be visited for donations for each dance.